This is a pretty awesome, clear, informative video on “What is Consent”? Positively & clearly communicating intent. If there is an absence of yes. Its ALWAYS better to know you have consent and know what the person you are with likes and doesn’t like, then to run the risk of hurting, disrespecting, or triggering the person you are with. Educate yourself and your friends on the intricacies of CONSENT. MARK YOUR CALENDARS: April 23, 2015! 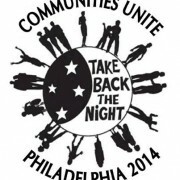 Join us in strengthening the 5th Annual Philly Take Back the Night!!! Calling all communities to unite and take a stand against domestic and sexual violence! • March to take back the streets starting at one of four locations heading to the First Unitarian Church. * Participate in the “Bust the Myths” Street Action. • Speak out and breaking the silence; storytelling and sharing about living with and surviving violence, abuse, and oppression. 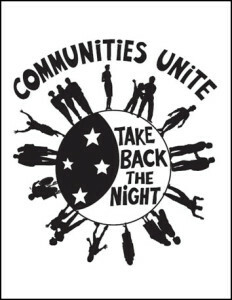 * A candlelight vigil to remember those still fighting, those lost to violence, and those surviving. * Tabling to provide networking and resources for survivors and their family and friends from a coalition of beautiful, badass organizations and people. http://tbtnphilly.org/wp-content/uploads/2015/02/10426262_10155170207230285_6574852195225221686_n.jpg 452 403 MichaelAlbany http://tbtnphilly.org/wp-content/uploads/2015/02/Communities-Unite-232x300.jpg MichaelAlbany2015-02-15 18:35:372015-02-15 18:35:37MARK YOUR CALENDARS: April 23, 2015! Benefit Show at Inner Rhythms Music !